Building an effective marketing and SEO strategy requires a variety of different plans and procedures. With the primary goal of search engine optimization being to drive traffic to a website, it makes sense that strategies that incorporate both an improvement in SEO and more traffic are considered a double whammy of sorts. Link building strategies continue to be relevant for this particular reason. Search engines love to see and rank websites prominently when many other websites are linking back to them – as long as the context and use is legitimate. Building links across the web can be a major component in any successful SEO strategy. Today, let’s talk about a few strategies you can use starting today that’ll help generate new links for your website. There are a seemingly countless number of blogs and websites out there looking for new content. If you can write well and are willing to provide, then there’s no reason you can’t be pinging servers with links back to your website! 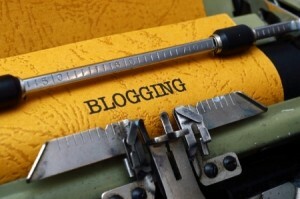 While guest blogging opportunities – from the perspective of both ends of the transaction – should be scrutinized, finding like-minded platforms on which to promote your personal area of expertise with a column or blog post is undeniably valuable. Most blogs will let you add a link back to your website via your name or business, providing meaningful link juice for just a little bit of effort. Websites with broken links can harm the SEO potential of brands. It also isn’t great for an audience to discover that you suddenly have links on your website that aren’t working. Many people are willing to provide benefit to those who alert them of such situations. This is why a new and easy form of link building revolves around tracking down broken links on other websites. The person tracking these can then create content that is relevant to the original link, and submit the issue to the blogger or webmaster. By alerting them of the problem and asking if they would be willing to replace the link to the broken page with your newly-created content, you can easily earn new links. For brands that have had an online presence for some time and that have provided meaningful content and benefits to their communities, it’s almost guaranteed there are mentions that are currently unclaimed. By that, we mean that other blogs and websites have referenced your website’s name or content, but have not linked back to your website. Since these entities are already pinging servers with mentions of your brand, reaching out to them to request that a link be added to the reference is easy. Most websites understand the value of links and will be more than happy to throw a link your way in the original content; they may have even meant to link back to you in the content, but merely overlooked it at the time the content was created. There are many ways in which to build links. Some take plenty of time and preparation, but seeing results immediately is always a rewarding way to get motivated. These three methods can all be utilized beginning today and can help produce some serious link juice for your website.